The mod has a thing where it will try to update the rotation of the block to match the placement direction, however it doesn't work for all blocks. It only blocks if the block has a "facing" property that is persistent, and not backed by the contents of the tileentity. An example of a block where it doesn't work are the chests from the Iron Chests mod -- they DO have a facing property, but it's not persisted in the world, it's stored in the tileentity instead. I'm testing the 1.13.2 version, and I don't know how to add the spawner in the whitelist. ...and... Working. In creative mod. That's probably a vanilla limitation. Would need a workaround for it in my code. Will keep that in mind. Is this relative to the NBT tag system ? 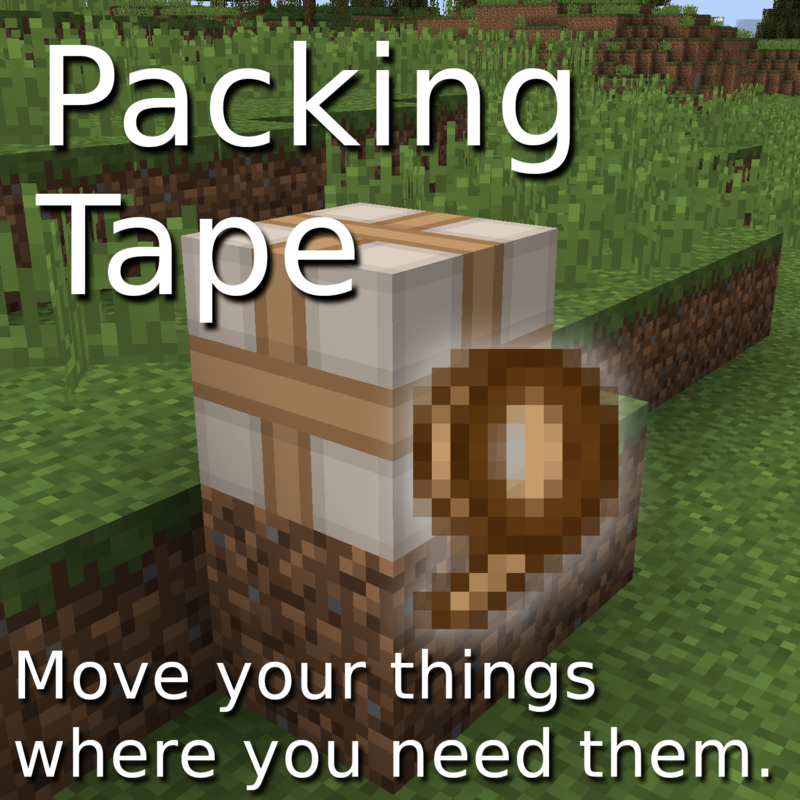 If so, it's like the unpacking reset the taging of the spawner. Good luck for the update, and thank you for your work ! The unpacking is meant to apply the tags after placing. If it fails to apply the tags, then you get the issue that you see. I don't know why, but i can't pack Mob Spawner, even if it is on the whitelist. Yep... that's bad... fixing ASAP! Possible to make tinkers slimeballs work with this too? Can't craft it with them. Certainly. However, note that I am only maintaining the 1.12.x version. If you want the recipe in an older version, you will have to add it using CraftTweaker. 0.7.5 is up and has the fixed recipe in it. Are you going to update the mod for 1.12.2? I really like your mod and I'd love to see it continue to be developed. In your description you say End Portal Frames are disabled by default. Is there a way I can allow them to be used without whitelisting only those?